The film HOUSE OF THE RISING SONS (HING DAI BAN) two nights ago held an event. Actors Anthony Chan Yau, Jonathan Wong Chee Hynn, Lam Yiu Sing and Eugene Tang Ka Lok appeared. 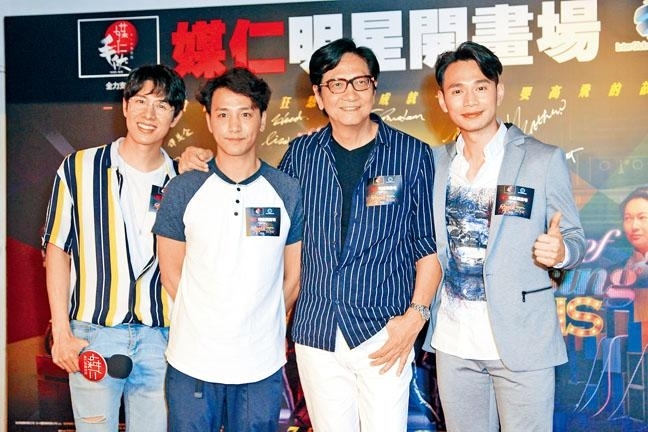 Chan Yau said that recently he has been busy with the film's promotion and was happy to see the rather decent audience reaction. Wong Chee Hynn revealed that Chan Yau entered in advanced and created a surprise after blending into the crowd. "During audience appreciation, when we gave enthusiastic applause, Chan Yau suddenly jumped up and surprised everyone. Later we spoke to a child, his first question was when would the sequel start production." Chan Yau said, "I have talked to the boss about (a sequel), the Wynners actually is a story of Hong Kong people. I hope to be able to work with the original team again." As for the box office, Chan Yau admitted that he had no idea. "Now the audience behavior has already changed. Everything is digital, the only thing that hasn't changed is the sincerity of creators like us. We make some film with feelings." He also revealed that the Mainland response has been similar to Hong Kong's. He has been to Guangzhou and Foshan for audience appreciation.